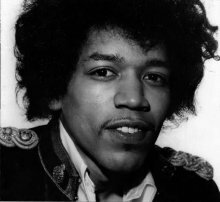 Paris - When French high school students sit next June for the exam that determines if they graduate, culture-and-arts majors will be quizzed on a song by 1960s rock icon Jimi Hendrix, according to the education ministry. "Acting funny but I don't know why, excuse me while I kiss the sky," Hendrix sang in his 1967 classic Purple Haze, taken as a paean to mind-altering substances by the baby-boom generation now approaching retirement. The song, in its original version and in a string adaptation performed by the Kronos Quartet, will figure in one of four sections of the "musical culture" exam, the ministry announced on its website. Each of the themes on the exam are based "on a principal work accompanied by peripheral recordings and studies," the better to "appreciate the multiple facets" of the music in question, the ministry said. Hendrix, whose career lasted barely five years before he died in 1970 at the age of 27, is widely regarded today as a musical genius whose compositions and improvisational style have influenced subsequent generations. The rock legend will be in good company on the national exam, joining Georg Friedrich Handel and medieval composer Perotin, among others. Freitag, 25. November 2005 Soest Sonic (Höggenstraße 24, 59494 Soest) Einlass 20.00 Uhr Beginn 21.15 Uhr VV 9,- Euro / AK 11,- Euro Der schöne Live-Club "Sonic" liegt am Rande der Soester Altstadt. Hier geht jedes Wochenende die Post ab. Der Laden ist bekannt für seine sehr freundliche Atmosphäre. Samstag, 26. November 2005 Duisburg Red Rooster (http://www.the-redrooster.de/) Einlass 19.00 Uhr Beginn 21.00 Uhr 7,- Euro > Hunderte Artefakte der Blues-Geschichte vermitteln das gemütliche Flair dieses zeitlosen Clubs. Eintauchen in die Welt der Superstars und der > Namenlosen. Seltene Plakate, ausgefallene Plattencover, Fotos über Fotos und mit viel Liebe zusammengetragene Exponate aus den letzten Jahrzehnten on Stage und im Studio. Jimi Hendrix gehört zu den am meisten gespielten Künstlern im Red Rooster. Von daher wird ess höchste Zeit, dass The Hendrix dort gastieren und dem Gitarrengroßmeister huldigen. 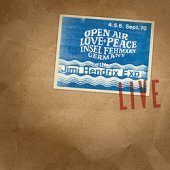 The Jimi Hendrix Experience: Live At The Isle Of Fehmarn marks the eighth release in Dagger Records' (http://www.daggerrecords.com) popular bootleg-style recording series. This historically significant album features The Jimi Hendrix Experience's final live performance on September 6, 1970 during the Love & Peace Festival held on the Isle Of Fehmarn in Germany. 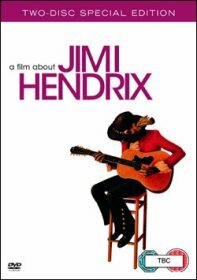 A Film About Jimi Hendrix - Two Disc Special Edition DVD Packed with over 3 Hours of Hendrix Footage - includes 87 minutes of rare bonus footage. As news comes of guitar legend Jimi Hendrix being inducted into the much coveted UK Music Hall of Fame in London on November 16th, Warner Home Video (UK) is pleased to announce the Two-Disc Special Edition DVD release 'A Film About Jimi Hendrix' due 30th January 2006. If any artist deserved a biography its Hendrix, and Joe Boyd's 1973 authorized tribute adequately sanctifies the legend. Originally released three years after the musician's untimely death, and set the benchmark for rock documentaries. The pioneering rockumentary brings together the best live footage spanning Hendrix's entire career from his beginnings to the iconic Monterey (1967) and Isle of Wight (1970) Festival performances, all digitally transferred and restored. 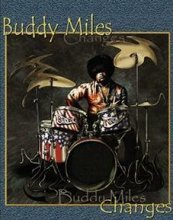 Included in the film are the classic songs "Hey Joe," "Rock Me Baby," "Like A Rolling Stone," and the milestone "Star Spangled Banner". 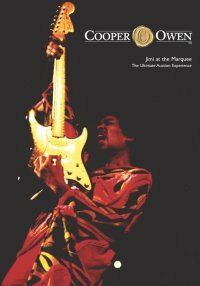 Featuring the guitar wizard on stage and behind the scenes, classic concert footage is interspersed with interviews with friends and prominent musicians giving first-hand recollections, including Pete Townshend, Mick Jagger, Eric Clapton, Lou Reed, and more covering the many facets of the Hendrix story, capturing the sound, look and spirit of the mid to late 1960s and early 1970s. 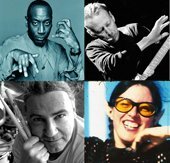 For Hendrix' forthcoming induction into the second annual UK Music Hall of Fame, the highly regarded guitar icon will join many a new line up of international music legends honoured in recognition of their outstanding contribution to contemporary music. Other inductees this year include The Who, The Kinks, Bob Dylan, Joy Division/New Order, Eurythmics and Pink Floyd. The UK Music Hall ceremony will be held at London's Alexander Palace on 16th November, and will be broadcast on Channel 4 television on November 17th. 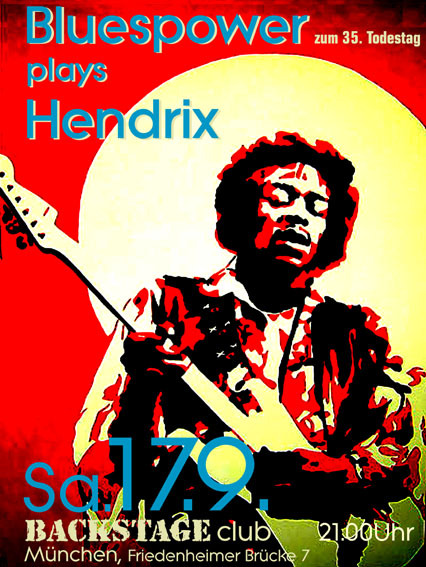 Relaunch of www.hendrix-links.de no more frames, have a look and check it out! The Who, The Kinks and Joy Division/ New Order will be inducted into the UK Music Hall of Fame in November. The bands will be honoured alongside Pink Floyd, Bob Dylan and Jimi Hendrix at this year's ceremony. The ceremony, at London's Alexandra Palace on 16 November, will feature performances by Alanis Morissette and The Pretenders. A panel of 60 broadcasters, artists, journalists, and industry executives have selected the bands. A group of fans and I are now trying to get a grave stone put on Lucille's grave. She is in the same cemetery as Jimi (Greenwood Memorial) for 47 years now and that is long damn enough. It is not right that the Mother of the freedom child be in a grave marked L. Mitchell on a simple brick or marker as they call it. Lucille died in 1958 and was berried by the state, the Hendrix family had not money at that time I understand that BUT THEY DO NOW! Janie Hendrix has no intention of moving her to the family memorial. Shame on you Al Hendrix shame on you! Everyone else in the family was moved when the memorial was built. We have raised the money for the grave stone. At this point all we need the approval of one of the next of kin. I would like to have this in the works by Jimi's birthday 11/27/05. I am having a hard time connecting with Leon Hendrix and am still trying to locate Joe (He is in the area, I will find him). We mean no disrespect and would love for the next of kin to contact us and pick out the stone and words to go with it. Good God how could have this happen! Experience Hendrix and Kramer are currently working on a top-secret Hendrix project to come out next year, one that Kramer says will blow away not only Woodstock, but everything else he has done. "All I can tell you is we're working on a particular thing right now - I won't say what it is - but it is stunning, probably the greatest performance I've seen or heard of Jimi's," he says. 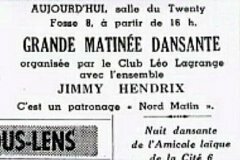 39 years ago, on October 66, Jimi played in a small town near mine, Villerupt, in the north-east of France, near the Luxemburg and Belgium borders. 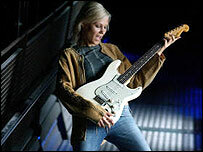 It was the third EXPERIENCE gig, and the band opened for french singer Johnny Hallyday. 39 years later, not far from there, I'm promoting LA NUIT HENDRIX 66, to celebrate and resurrect live the music of Jimi. It will take place in Longlaville on Saturday, November 19. Two bands will play that night. First, local band MAD IN H will play a set of covers, not only from Jimi, but selected from the era. Then, ELECTRIC CHURCH will follow. 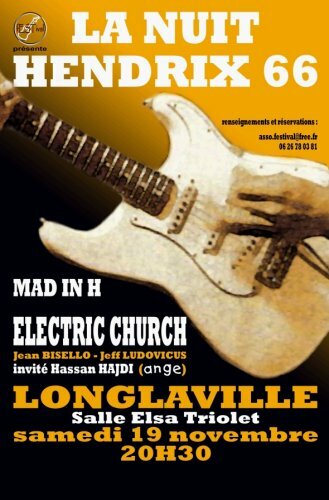 ELECTRIC CHURCH is the band of Jean Bisello devoted to playing Jimi's music. Along with Jean Bisello on bass, the line-up consits of Jeff Ludovicus on drums and, especially for that night, Hassan Hajdi on guitar. Hassan Hajdi plays guitar in the current line-up of well-known french prog band ANGE. His side-project K'IEN is largely devoted to Hendrix covers, but his joining that night will make it a special, one night event. There will also be video effects during the show, to recreate a "Fillmore-like" feeling. 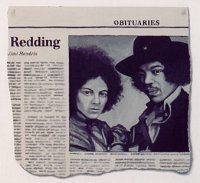 The german Hendrix portal is now managing "The Jimi Hendrix Webring". Dedicated to the spirit of Mr.James Marshall Hendrix! Devoted to Anything and Everything Jimi Hendrix. Photo galleries, artwork, lyrics, inspiration and more. Feel the stratomaster. Its been 35 years now since you've been gone Jimi. You broke our hearts when you left us. You gave me your all and now it's time for me to give back. May the memory of Jimi be as strong 35 years from now as it is 35 years after. 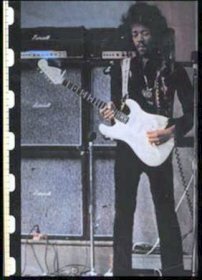 Jimi Hendrix Owned and Played 1963 White Fender Stratocaster Guitar -- One of Jimi's First Strats! Note: Internet Absentee Bidding Ends at 10 PM CDT the night before the floor session of any particular lot. See the individual lot page for specific times. Please visit the homepage of the UK Hendrix tribute band Gimme Hendrix and listen to the sounds! The 'white kid's' drug that made Jimi Hendrix feel like Marilyn Monroe and helped him 'see' his music. Er hat diese schönen Hendrix Bilder gemalt! This piece, excerpted and condensed from the first six chapters of "Room Full of Mirrors: A Biography of Jimi Hendrix," by Charles R. Cross (Hyperion Books, August 2005), tells the story of Jimi's youth in Seattle. Hello, Throughout July, we asked our listeners to vote for their top 3 tracks of all time in this year's X List 2005 mega-poll. We've collated the thousands of votes and can now reveal this year's shortlist made up of the most popular 104 tracks. Nächstes More Experience Konzert: 13-08-2005 CH Locarno Villagio RTSI (Filmfestival) 20.00 Uhr See you there ! Lieber Frauen als Soldaten Von Gene Johnson, Seattle Jimi Hendrix. ROOM FULL OF MIRRORS: A Biography of Jimi Hendrix (Hyperion Books; August 3, 2005; Hardcover; $24.95), by Charles R. Cross, author of the New York Times bestselling biography of Kurt Cobain, Heavier than Heaven, is the definitive biography of this rock ‘n’ roll legend. Coinciding with the thirty-fifth anniversary of Hendrix’s death, it is meticulously researched and based on more than three hundred interviews with those who knew Hendrix best – more than half of whom have never spoken about him before. Charles Cross Homepage Order now at Amazon! Experience Hendrix, L.L.C. 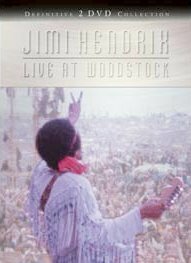 in association with Universal Music DVD Video is pleased to announce the release of Jimi Hendrix: Live At Woodstock [The Deluxe Edition] on September 12, 2005. This special two-disc DVD presentation of Jimi Hendrix: Live At Woodstock stands as the definitive record of one of Jimi's most celebrated performances. This all-new deluxe set features all of the existing film footage from Jimi's unforgettable August 1969 Woodstock concert newly re-edited and presented uninterrupted and in its original performance sequence. Live At Woodstock includes never-before-seen versions of Foxey Lady, Message To Love, Hey Joe, Spanish Castle Magic, and Lover Man, and an all-new 5.1 and 2.0 stereo soundtrack mixed by Eddie Kramer, Jimi's original studio engineer. Please note the North American release for the DVD is Tuesday September 13th, whereas the European release is one day earlier (Monday September 12th). Order now at Amazon! A black leather waistcoat with pocket detail, originally with silver and tasselled detail to top and bottom fastening (now missing). This waistcoat is identical to the one Jimi wears on the inside cover of Are You Experienced?, the cover of Smash Hits and documented in several photographs from the period. The waistcoat was given to sometime Eire Apparent member David 'Tiger' Taylor by Mike Jeffrey's secretary Trixie Sullivan. Trixie called to the Madison Hotel, Paddington where the band were staying at the time, with a bag of Jimi's clothing for the Eire Apparent members to selected what they fancied (he had just returned to the States), from which Tiger chose this waistcoat. Besucht doch mal die Homepage der deutschen Hendrix Cover Band 3rdStoneFree. Dort gibt es viel zu hören und sehen! Experience Hendrix, L.L.C. in association with Universal Music Enterprises is pleased to announce the release of Jimi Hendrix: Live At Woodstock [The Deluxe Edition] on September 13, 2005. * THE ROAD TO WOODSTOCK: A new documentary featuring Hendrix performance footage and new interviews with Woodstock promoter Michael Lang, and Hendrix band members Mitch Mitchell, Billy Cox, Larry Lee, and Juma Sultan among others. * JIMI HENDRIX: LIVE AT WOODSTOCK: A SECOND LOOK: In addition to the newly re-edited color footage featured on DVD one, A Second Look offers a totally unique perspective of Jimi's Woodstock performance that has never before been shared. A Second Look combines never before seen black and white video footage of Jimi's legendary Woodstock performance intercut with alternate camera angles filmed in color. A Second Look features uninterrupted footage of every performance featured on DVD One in its original performance sequence. In addition, A Second Look presents never before seen video footage of "Hear My Train A Comin'"--a performance missed by the film crew and presented here for the very first time. * JIMI HENDRIX PRESS CONFERENCE: Filmed at Frank's Restaurant, Harlem on September 3, 1969 two weeks after Woodstock. At a press conference called to announce his upcoming benefit performance on behalf of the United Block Association, a Harlem based youth organization, Jimi spoke about the festival and his memorable rendition of "Star Spangled Banner". * NASHVILLE ROOTS: Band members Billy Cox and Larry Lee recall their friendship with Jimi Hendrix and their shared journey from the fabled R&B "chitlin circuit" to the greatest rock festival ever conceived. * RECORDING WOODSTOCK: Engineer Eddie Kramer details the recording of the entire epic festival. * RARE ARTIFACTS & MEMORABILIA: Collection includes original Woodstock poster, festival tickets, and Hendrix's own handwritten set list draft, and poem about the festival, "500,000 Halos." Leszek Cichonski did again the "Thanks Jimi Festival" including the guitar record on the Wroclaw's Rynek Square at May 21st. ist die neue und bereits zweite Tribute CD von Rudy Kronfuss. Mit James (Marshall Hendrix) ist natürlich Jimi gemeint, dem auch diese CD gewidmet ist. 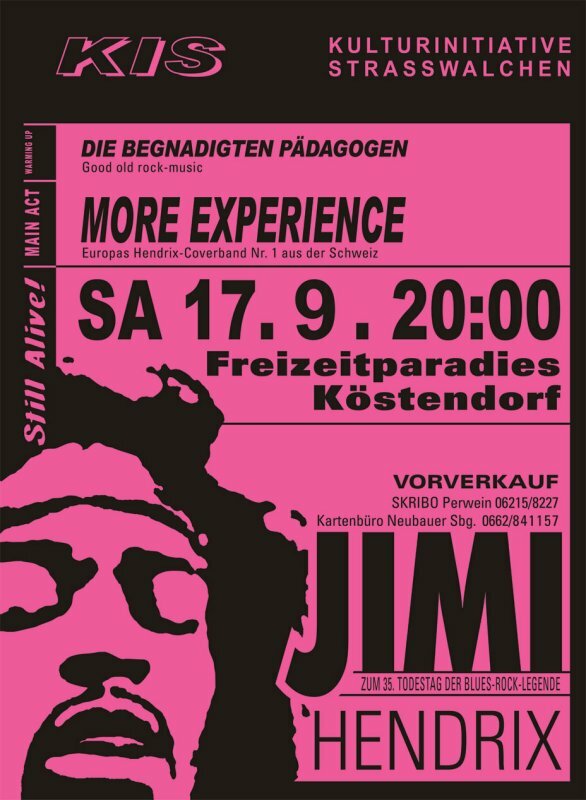 Die 10 Eigenkompositionen sind völlig im Geist und Stil von Hendrix und man möchte fast glauben, daß Jimi selbst hier heimlich mitkomponiert und gewirkt hat. Erinnerungen an ?Cry of Love? und spätere Werke des Meisters werden hier wach und Kronfuss gebraucht wie sein großes Vorbild das Studio als Instrument mit teilweise sehr komplexen Multitrack Arrangementen. Er dürfte hiermit einer der wenigen Musiker sein, die erfolgreich versuchen Jimis Musik weiter zu entwickeln, obwohl dies für viele unmöglich erscheinen mag. Es lohnt sich auf Rudys Homepage zu schauen und auch dessen Hendrix Cover Versionen an zu hören: http://www.rudykronfuss.com/ Für "Sparer" stellt Rudy seine Musik gratis zur Verfügung und Fans können hier via Mail seine CDs bestellen. 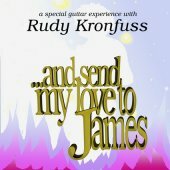 "AND SEND MY LOVE TO JAMES" muß jeder Hendrixfan unbedingt gehört haben ! Blumenkinder, Freaks, freie Liebe, brennende Gitarren ... und jede Menge Musik! Wer erinnert sich nicht an die wilden Szenen aus dem WOODSTOCK-Film? 15 Musiker aus München, die in einer fast 3 stündigen Show die Musik mit seinen bekanntesten Künstlern wie: Jimi Hendrix, Santana, Ten Years After, The Who und vielen mehr authentisch wieder aufleben lassen. Wer kennt nicht...Going home.... 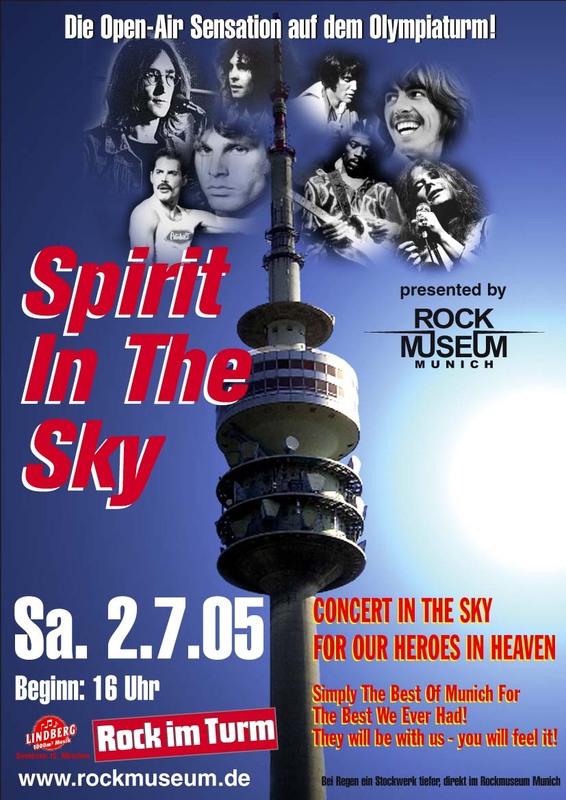 Soul Sacrifice....Purple Haze....Summertime Blues...want to take you higher..... und viel weitere Klassiker der "Love and Peace- Generation". Ein Abend, der unvergesslich den Geist des Summer of 69 herbei zaubert. A WEBSITE WITH "HUNDREDS OF ACRES TO ROAM ON"
Erstmalig in München! Ring frei für die erste Gitarrenschlacht zweier Gitarrengötter präsentiert von Marc Dorendorf und BLUESPOWER. Jimi Hendrix vs. Eric Clapton. Wer wird den Ring als Sieger verlassen? Auf der einen Seite: Mister Slowhand - cool, aber voll Feuer in seiner Technik. Auf der anderen Seite: Jimi - der Magier und Soundvirtuose. Entscheiden kann nur das Publikum. Zwei Götter an einem Abend. EINMALIG! My name is Kludo White. I am a Professional Artist and Musician iving and working in the UK. I, like you, am also a huge Hendrix fan. 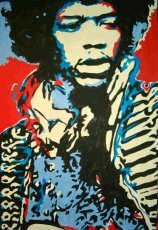 I recently had an exhibition for which I created a set of new Rock Icon Paintings and one of the most popular ones has been my portrait of Jimi Hendrix. (see attachment) I thought that you and your club members may like to see it and possibly even buy it. The dimensions of the painting are 52cm X 72cm (very large) and it is hand drawn and hand painted by me on canvas in acrylic paint. It is available for sale for only £200 GBPounds. I am able to post it anywhere in the world for only £40 GBPounds I can be contacted by email at kaiserkeller(at)btinternet.com Or by post at my studio (see the address below) Many thanks for your time ...s'cuse me while I kiss the Sky! Check out the Homepage of MidnightLamp a dutch Hendrix Cover Band and listen to some mp3 files! Hello guys, things are getting serious... This time we will meet us on May 21st 2005 y. on Wroclaw´s Market Place (Polska) in the city center. 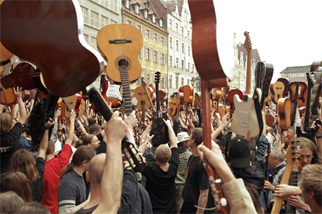 It´s gonna be our third attempt to Guinness Guitar Record and second edition of "Thanks Jimi Festival" One year ago, 916 guitar players have performed famous Jimi Hendrix´s blues-rock hits "Hey Joe" "Little Wing" and "Wild Thing" attempting to bit World Guinness Record in the Biggest Guitar Orchestra category. It was already the second attempt (in 2003, total number of 588 were registerd). So far the world biggest guitar orchestra was performing on american´s EPIPHONE guitar producer anniversary, where 1555 musicians were assembled playing together. (www.gibson.com). On 21st Mai we will try again to bit this record. Regardless the result, the most important thing is to get together and play for Jimi his songs - it´s gonna be our thanks for his music. Darauf hatte ich gewartet, endlich das neue Experience Pedal von Digitech antesten. Bei der Musikmesse in Frankfurt hatte ich gestern Gelegenheit dazu. Digitech wird in Deutschland von Warwick vertrieben und die neuen Pedale wurden am Stand von Ralf Jung vorgeführt. Neben dem bereits erwähnten Jimi Hendrix Experience sind in der Artist Signature Series noch das Pedal "The Weapon" mit Sounds von Dan Donegan und das Crossroads mit Sounds von Eric Clapton erschienen. Gleich vorweg, es handelt sich nicht um bekannte Sound Simulationen die einen Amp oder Speaker nachahmen, sondern die Geräte produzieren den Sound der auf den Stücken der Künstler zu hören ist. 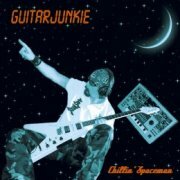 Eben die Kombination aus Gitarre, Effekten, Amp und Speakern. Die Gitarre die man verwendet ist also egal, das Signal kann direkt in die PA eingespeist werden. Das Experience produziert den Sound der Stücke: 1 Purple Haze, 2 Wind Cries Mary, 3 Foxey Lady 4 Little Wing, 5 All Along The Watchtower 6 Voodoo Child (Slight Return) 7 Star Spangled Banner (live) / Machine Gun. 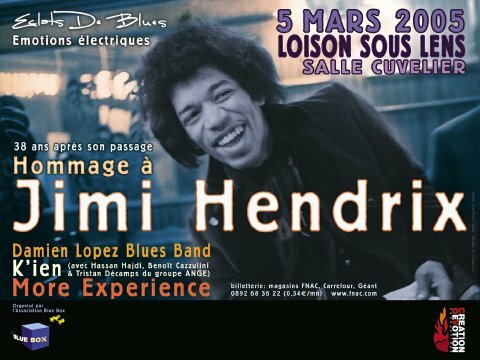 La plus belle Victoire de la Musique n?a pas été décernée ce 5 mars 2005 au Zénith de Paris, mais bien à Loison-sous-Lens et au Voodoo Child... Jimi Hendrix. The reference for the picture is:- REX_Hendrix/Who 120x80cm £495 (B+W, 1/2L Jimi Hendrix holding guitar, with members of The Who). Further to my message in regard to the Jimi Hendrix/The Who print and your very kind inclusion of a link to the Eye Candy Gallery, I would be very happy to offer British visitors to your site a 20% discount on Eye Candy Gallery prices in regard to their 'Icons' selection. We would also like to offer non-British visitors a 10% discount - they are also not liable for VAT. Any inquiries should be addressed to info@eyecandyartgroup.com and should mention that they have visited your site. Best wishes, Matthew. Hendrixtribute Konzert mit der "RUDY KRONFUSS EXPERIENCE"
Ein Stück aus dem Tollhaus, Schauplatz Seattle: um auf dem Gelände einen Neubau hochzuziehen, wurde vor drei Jahren das Haus, in dem Jimi Hendrix vom 12. bis zum 15. Lebensjahr gelebt hatte, einfach um ein paar Blocks versetzt. Doch nun will man das in Leichtbauweise errichtete Gebäude auch von seinem jetzigen Standort ''vertreiben''. Die Stadt Seatlle hat der '' James Marshall Hendrix Foundation'', Besitzerin des Hauses und Pächterin des neuen Grundstücks, ein Ultimatum gestellt: bis zum 22. Februar '05 musste die Stiftung entweder das Areal erwerben, oder das Haus erneut woanders hin verfrachten. Ursprünglich hatte die Stadt noch vorgehabt, finanzielle Mittel zur Renovierung des völlig heruntergekommenen Gebäudes zur Verfügung zu stellen, so Ray Goldman von der Hendrix-Foundation. Der Geburtsort des legendären Gitarristen hätte damit neben dem ''Jimi Hendrix Memorial Rock'' im Woodland Park Zoo und der Statue auf dem Capitol Hill eine weitere Hendrix-Touristenattraktion. Order Jimi Hendrix The Man, the Magic, the Truth from Sharon Lawrence at Amazon! Jimi Hendrix's Guitar Sells For £100,000 A guitar that belonged to the great Jimi Hendrix has sold for £100,000 at auction. The 1965 Fender Stratocaster was just one of many guitars that featured in an auction dedicated to the legendary guitar player. In an auction billed as one of the biggest collection of Hendrix memorabilia instruments, signed records and posters all went under the hammer at the Hard Rock Café in London. The Jimi Hendrix Experience's first single Hey Joe, signed by the entire band, was sold for £2,000, reports the BBC. A poem written by Hendrix two weeks after his infamous appearance at the Monterey Festival where he set light to his guitar went for £10,000. The majority of items on sale at the auction were collected by Bob Terry who began collecting at the age of 17. This is the house where Jimi and Leon Hendrix lived, along with father Al, located in Seattle's Central District. The house will be renovated and maintained by the Hendrix Foundation in a manner that closely approximates the way it looked when Jimi lived there. Once completed, the house will be open to the public for a glimpse into life during a formative part of Jimi's own youth. For further informatin visit the James Marshall Hendrix Foundation. A Fender Stratocaster belonging to Jimi Hendrix was sold for 190,000 dollars at the Cooper Owen auction in Hardrock Cafe London. Frank Marino war schon immer von Jimi Hendrix insperiert. 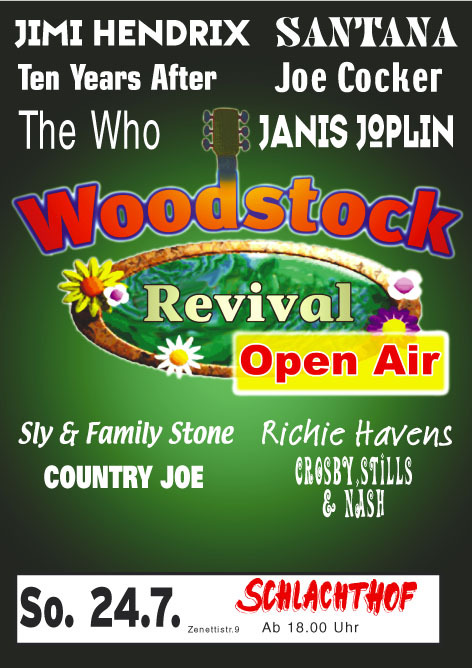 Dieses Live Konzert beginnt gleich mit Voodoo Chile, Red House folgt bald und immer wieder sind kurze Jimi und andere Cover Zitate zu hören. Frank ist nicht Jimi, er spielt nicht nach, sondern interpretiert in seiner Art. Manchmal erinnern seine spacigen Ausflüge fast an Grateful Dead (manchmal aber auch zu langatmig, wahrscheinlich live, mit der richtigen Kräutermischung gut!). Zum Ende zeigt uns Frank bei Star Spangled Banner wofür er die zwie Quadartmeter Effektpedale braucht. Mit einer kleinen Träne der Nostalgie macht es aber Spass diese Live Scheiben zu hören. The Jimi Hendrix ExperienceT SEVEN signature tones that changed the world forever Experience Hendrix, L.L.C. and DigiTechT are pleased to announce the debut of the all new Jimi Hendrix Experience Artist Series Pedal, today at the NAMM Conference in Anaheim, California. Since the first time the world experienced Jimi Hendrix, things have never been the same. DigiTech® is honored to be chosen by the Hendrix family, to emblazon Jimi's prophetic musical vision into a truly remarkable performance tool through our Production Modeling technology. Introducing The Jimi Hendrix ExperienceT, the only pedal to capture the tones that changed guitar playing forever. The pedal was created using the original masters at Electric Lady Studios in association with Eddie Kramer, the original recording engineer. The Jimi Hendrix Experience pedal so closely models the fine nuances of Jimi's sounds that each pedal requires TWO of DigiTech's AudioDNAT DSP chips! Eddie Kramer, Jimi's engineer at Olympic and Electric Lady Studio, was an essential part of the Hendrix sound. Who better to help recreate those timeless tones than the man who set up the original mics and ran the mixing board adding his own magic? Working with DigiTech and our proprietary Production ModelingT technology, he helped rebuild each facet of Jimi's tone, from guitar effects and amp to the vintage outboard signal processors. But it gets even better. Thanks to Eddie and the Hendrix family, we were able to use the original tapes as a reference source for our Production Modeling technology. The results of this once-in-a-lifetime project will amaze you when you hear the Jimi Hendrix ExperienceT pedal. "You realize what a tremendous body of work Jimi has left behind. What we are doing here is taking a little piece of Jimi and putting it in a pedal that will stun the world." - Eddie Kramer The Jimi Hendrix ExperienceT is the only pedal to capture the SEVEN tones that changed guitar playing forever; featuring: Purple Haze :: Intro and solo: Based on: Fuzz FaceT 100-Watt Marshall® Super LeadT Amp; EMT Plate Reverb; Roger Mayer Octavia (solo) Little Wing :: Intro and Solo: Based on: 100-Watt Marshall® Super LeadT Amp; Miniature Rotary Speaker (Homemade at Olympic Studios in England) Voodoo Child (Slight Return) :: Intro and Solo: Based on: Vox® Clyde McCoy WahT; Brown FenderT BassmanT, Amplifier; EMT Plate Reverb All Along The Watchtower :: Intro and Solo: Based on: Acoustic Guitar; 100-Watt Marshall® Super LeadT Amplifier; EMT Plate Reverb Plus three more models. The Jimi Hendrix ExperienceT Artist Series Pedal is available at leading music equipment dealers nationwide. The world's largest collection of Jimi Hendrix memorabilia is to be auctioned at London's HARD ROCK CAFE on Wednesday 16th February 2005 starting at 10.30am. PHOTOGRAPHY Given Hendrix's fame a surprisingly small number of photographs are available to his fans. The auction will draw from an enormous archive of images - many of which have never been seen before. WRITING Jimi was extraordinarily prodigious - if he wasn't playing he was writing, if not writing, doodling - these personal outpourings provide unique insights into the way his mind worked and how his creative juices flowed. GERED MANKOWITZ (LONDON) KOMMT NACH BERLIN! Der Fotograf präsentiert seine einzigartigen Porträts von Jimi Hendrix in einer großen Ausstellung bei Dussmann - Das Kulturkaufhaus. The world's largest collection of Jimi Hendrix memorabilia - most of which has never been seen, heard or displayed before - is to be launched in a spectacular show at the new Marquee Club (London) over the weekend of 17th - 19th September 2004 and will run for six months. Worth over $15 million, the incredible collection features hundreds of unseen personal images, footage recordings, and promo materials - all displayed at the legendary club where Hendrix often played. 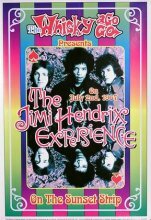 THE JIMI HENDRIX EXPERIENCE @ THE MARQUEE will exhibit 30 - 40 hours of unreleased music, 200 - 300 hours of personal video - 60% unreleased, as well as over 1000 photographs many unpublished. Jimi's own clothes will be on show including his elk skin fringe jacket and a psychedelic shirt as well as 3 of his legendary guitars, and this is only a small sample of the entire collection. The Exhibition will run daily until February 2005.